Dear Readers, Today Indiagkbooks.in are come with “Pratiyogita Darpan Samsamyiki Varshiki Yearly 2019 In Hindi | प्रतियोगिता दर्पण वार्षिक पत्रिका 2019” published by “Pratiyogita Darpan Publications”. 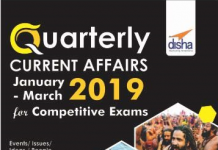 This (Pratiyogita Darpan Varshiki 2019 in Hindi), is the best monthly and yearly magazine for cover latest current affairs, Latest General Knowledge, Reasoning and many more which is important for all upcoming sarkari naukri & competitive exams. It is the best Monthly and Yearly Magazine among the books available in the market. 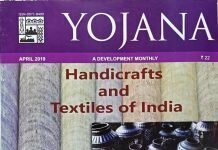 In this “Yealy Magazine” have included National Events, International Developments, New General Knowledge, Sports, Science and Technology, Employment News, Youth Talent, Civil Service Exam, World Scenario, Memorable Scene etc. have been clearly explain topic wise in a great way. This magazine is published every month by “Pratiyogita Darpan Publications” and there each subject has been clearly explained. This monthly magazine is a popular Monthly and Yearly Magazine and it is one of the most famous and useful magazines of today & help you for achieve your goal in short time period. “Pratiyogita Darpan Yearbook 2019 in Hindi” is a popular for cover latest current affairs 2018-19 and it is one of the most famous and useful monthly, half yearly and yearly magazine in Hindi and English languages. Those candidates who are preparing for government job, Competitive Exam then candidates can buy this Yearly Magazine from Indiagkbooks.in. Which is very useful for preparing any government jobs and other examinations like SBI Banks, SSC, Delhi Police, PCS, IAS, IBPS, Railway etc.